Bellator MMA continues its European expansion this weekend, bringing a card stacked with local talent to Newcastle, England. The promotion brings 17-fight event to the United Kingdom, four bouts of which will take place on the main card. The preliminary portion of the card will stream live on Bellator’s website. Bellator has also confirmed that the event will be streamed live around the world via their mobile app. The Bellator Newcastle prelims will begin at 3:00 pm ET on Saturday, Feb. 9, and the main card will commence at 5:00 pm ET. The main card opens with a UK favorite, as Fabian Edwards takes on Lee Chadwick in his return to the Bellator cage. Edwards, 25, is the younger brother of UFC welterweight Leon Edwards. The younger Edwards turned pro in 2017 following a ten-fight, undefeated amateur career. Since turning pro, Edwards has remained unbeaten, piling up five impressive stoppage wins for Bellator and BAMMA. 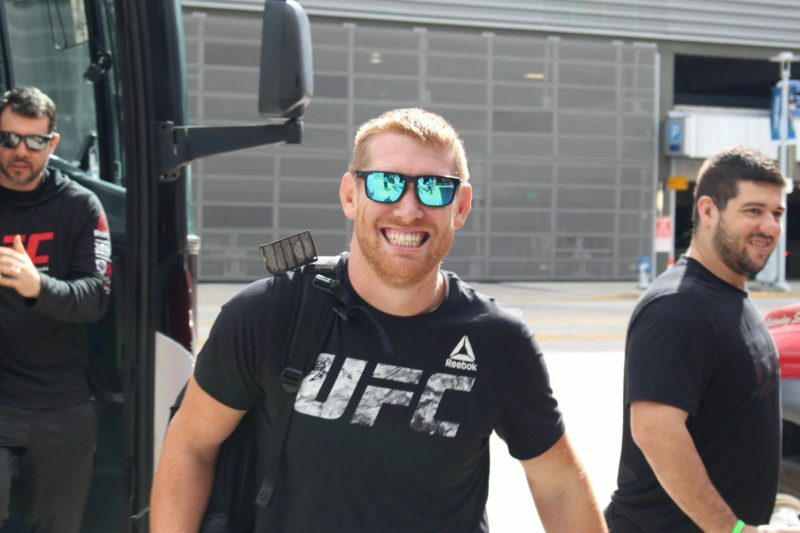 Edwards’ last fight, a first-round TKO via body kick in May, elevated the substantial hype surrounding his name to a head, culminating in his re-signing with Bellator. Edwards fought for Bellator on their 2017 London event, and he will return to the promotion again on home soil in Newcastle. Chadwick, 34, is also native to the United Kingdom. A longtime MMA veteran, Chadwick compiled a 24-13-1 record on the local circuit, and “The Butcher” has fought for ACB and Cage Warriors of late. Chadwick recently became the Cage Warriors middleweight champion, outpointing Victor Cheng in 2017. The main card’s opener will see a battle-tested veteran, Lee Chadwick, look to halt the seemingly unstoppable momentum of the rising UK middleweight, Fabian Edwards. Scotland’s Chris Bungard and England’s Terry Brazier will face off next in a featured lightweight bout on the Bellator Newcastle main card. Bungard, who has compiled a 13-4 record as a professional, is a talented finisher, scoring stoppages in nine of his thirteen wins. The seventeen-fight veteran has competed for a slew of promotions, including ACB and BAMMA. Currently, Bungard is riding a three-fight winning streak. He will look to win four straight fights for the second time in his career against Brazier. Brazier, meanwhile, is on a streak of his own. The U.K. native has rattled off nine straight since dropping his only loss, a seconds-long KO, back in 2015. Outside of that lone defeat, Brazier has been perfect, winning ten fights as a professional and two in the amateur ranks before that. Like Bungard, Brazier, too, finishes the majority of his victories. Brazier has a championship pedigree, as he was BAMMA’s welterweight and lightweight world champion before signing with Bellator. The second fight of the main card pits two surging lightweights against one another to determine who will be the next fighter to break through into Bellator’s talented lightweight ranks. Reality-TV star turned undefeated martial artist, Aaron Chalmers, takes on Corey Browning in the co-main event of Bellator Newcastle. Chalmers, 31, became a celebrity through his involvement in Geordie Shore, a reality-TV show based in the same location as the event on which Chalmers will fight: Newcastle upon Tyne, England. Chalmers began his MMA career in 2017, signing to BAMMA amid much fanfare. Given his popularity outside of the cage, Chalmers attracted interest and controversy from fans of the sport. Comparisons to other crossover fighters, including WWE wrestler turned UFC fighter CM Punk, abounded. Unlike Punk, however, Chalmers appears to be a legitimate MMA prospect, having won all four of his bouts via first-round finish. His last bout was at Bellator 200, which took place in his native U.K.
Chalmers will face Corey Browning, an American hailing from Nashville, Tennessee. Browning debuted in Bellator in 2018 despite being on a two-fight losing streak. Browning shocked the world, finishing Kevin Ferguson Jr., the much-hyped son of the late, great Kevin “Kimbo Slice” Ferguson Sr.
Chalmers had called for the “Baby Slice” matchup, but Browning’s impressive win ensured that he, not Ferguson Jr., would face Chalmers. Browning has won all four of his MMA bouts by finish, and he will look to derail another hype train against Aaron Chalmers here. 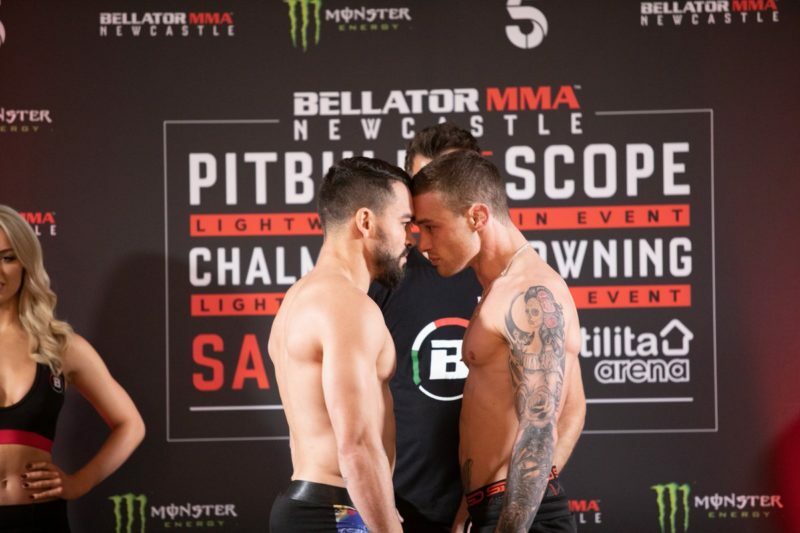 The main event of Bellator Newcastle features one of Bellator’s longest-tenured competitors, Patricky Freire, and a promotional newcomer, Ryan Scope. Freire, 33, is one of the best lightweights in the world, let alone Bellator alone. With a record of 20-8, Freire has long been considered world-class. 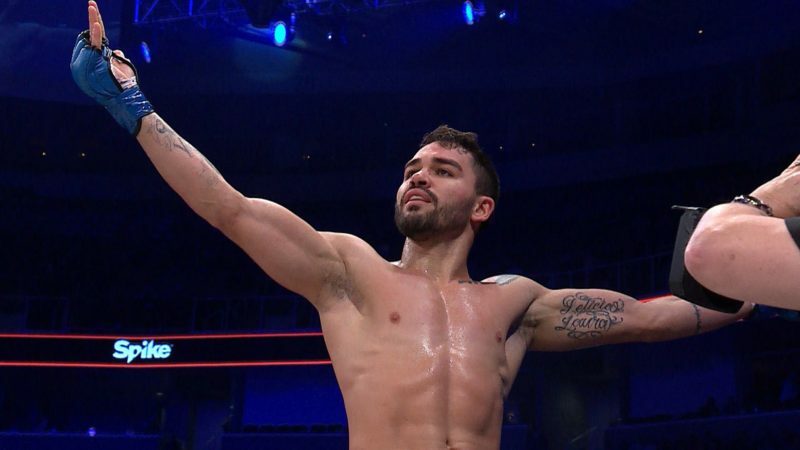 Recently, Freire has strung together a four-fight winning streak over the likes of Josh Thompson, former UFC lightweight champion, Benson Henderson; Derek Campos, and the legendary Roger Huerta. Freire has been clamoring for a shot at the lightweight title, specifically placing current champion Michael Chandler in his crosshairs. First, however, the Brazilian will have to get through Scope. Scope, 27, will make his Bellator debut after putting together an impressive 11-1 record on the U.K.’s regional scene. Scope has competed for BAMMA, ACB, and Made 4 The Cage, only losing once – by first-round submission – in his career. The U.K. native rebounded from his loss with a split-decision, lightweight championship earning victory at BAMMA 33. At Bellator Newcastle, Scope will face what is by far the biggest test of his professional career in the surging Patricky “Pitbull” Freire.